Found very rare commercial British Telecom with Joanna. This present in block of advertising (by link below) from point 4m:44s. Previously, only commercials British Telecom with Joanna for 1984 were presented in Avengerland. That's a nice find, I haven't seen that before. It looks very much like actress Rachel Bell a few seconds in but I may be wrong. I wonder if Joanna's line was dubbed? Many thanks, I did not even suspect about it - the link making time points on Youtube. Very much simplifies the tasks - great. It is enough possible that Rachel Bell participated in this. Woman in first row in crowd have a great similarity to her. Yes, while the voice of the narrator clearly belongs to Joanna, in the rest there is a feeling that her voice was dubbed. It's a little strange if we will suppose that all the material was made for this commercial, because Joanna's voice has always been preferred for advertising companies. Just bought tickets for Joanna's show ('It's all about me') next Oct at the Symphony Hall. 13th row from stage, so not too bad. I hope some of you get to see this as well. I'll post a review here next year. Can't wait to see this! Rich. I congratulate with the acquisition of a comfort place relatively stage. It will be interesting to know what kind of secrets Joanna will tell about her life about which we have not yet heard. I'm really pleased to hear that Joanna Lumley has been offered and accepted the role of host of the BAFTAs on Sunday 18th February 2018 (BBC1 9-11pm). Bought mine last Nov, the Waterfront on Oct 6th. At the time it felt like a life time to have to wait, actually it still does. Really enjoyed Joanna's one woman show last night. She was very entertaining and had the audience in the palm of her hands for nearly 2 hours. Loads of amusing stories from all aspects of her long career, including a terrific New Avengers behind the scenes story. No spoilers, so I'll wait til the tour has ended in case anyone is still due to see her. I met her at the stage door and she signed my program. A lovely lady and exactly the same in person as the persona we see on tv. Rich. Wow, a mile hanging on that rope-ladder is not without danger and the stunt woman said no! Joanna's 30 date tour is now over, so I can tell you my favourite story without spoiler alerts! She told two behind the scene stories relating to TNA, and the best one involved her stunt at the end of Dirtier by the dozen, where she she was lifted out of the minefield by a helicopter. 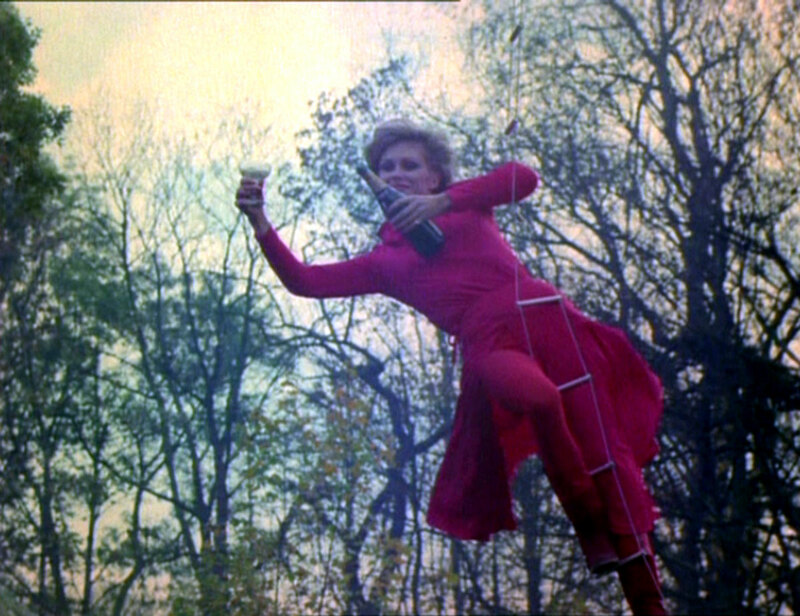 The stuntwoman was standing by, but they asked Joanna to do the stunt as it would look so much better on film. She asked if it was safe and they said it was as long as she didn't pull the ladder as it would pull the helicopter down on top of her. She asked how far they would travel with her suspended in air, and they said not far. They circled around for over a mile with Joanna hanging around, before lowering her to the ground safely. The director congratulated her and then said he was glad she agreed to do the stunt, as the stuntwoman had refused to do it Great story and for fashion aficionados did Joanna wear those boots also in comedy The Plank 1979 ?